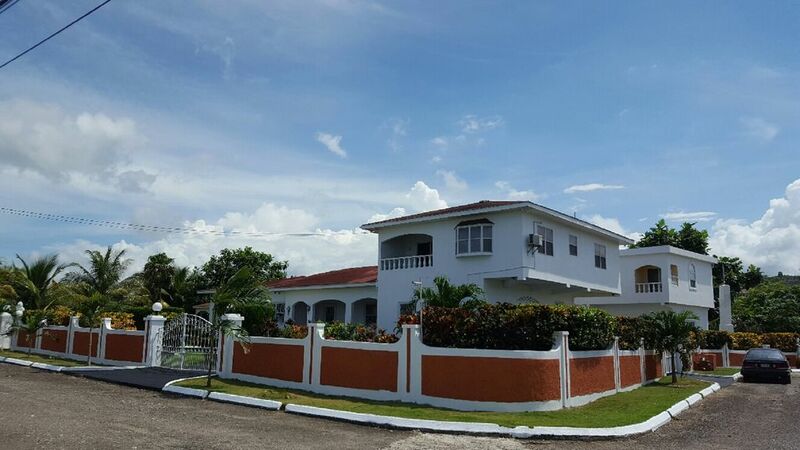 Elegant Hill Sea View Villa , Ocho Rios Jamaica. on – site lush tropical foliage to gently caress your senses. This is a two story waterfront property with 3 complete units. This location is the best place I have ever stayed. The scenery is great. is most relaxing. I loved it. This was my first trip to Jamaica and Hill Sea View Villa is where I will stay again on my next trip! The property is stunning, with views of the ocean. The house is beautiful, the outdoor living was relaxing by the pool. We had a housekeeper and home prepared meals! Everyone was very hospitable; I was treated with unparalleled graciousness. This is so much better than a standard resort- the pool is private, the rooms are spacious, the food is delicious! Definitely coming back!!! for an invigorating nightlife entertainment. Nightly Rate: $75 - $1275 Weekly Rate: $525 - $8925 Monthly Rate: $15,550 - $26800. . Minimum NIGHTLY AND WEEKLY RATE PER PERSON .$75.-$525 This rare includes Maid/cook services. Rates are subject to change with out notice. FORM OF PAYMENT TO BOOK THIS PROPERTY. All major credit card, checks, Money order & PayPal. .